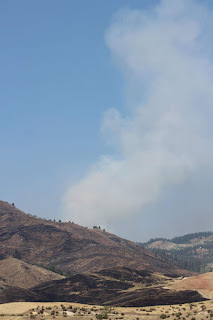 Smoke was more visible over the fire area today as crews utilized burnout operations along the northeast fire perimeter near Jerusalem Road to the north of Porter Creek. Burnout operations were conducted in order to remove fuel from the advancing fire front and slow the potential spread of the fire. Fire crews will continue burnout operations into the early evening taking advantage of the cooler temperatures and higher humidity. The public may continue to see increased smoke and haze into the early evening tonight, as they travel along the Highway 55 corridor. Smoke will diminish later as crews complete burnout operations and return to fire camp for the night. Crews also continued to improve existing firelines while extinguishing hotspots with aerial support from water dropping helicopters along both the northern and southern perimeter of the fire today. This allowed managers to increase containment for the incident to 60 percent. Crews will continue to monitor the fire weather and adjust suppression tactics to best meet the incident objectives. Tomorrow, crews will continue to mop up and patrol along the Highway 55 corridor using aerial support and hose lays to extinguish any hotspots found along the fire perimeter. 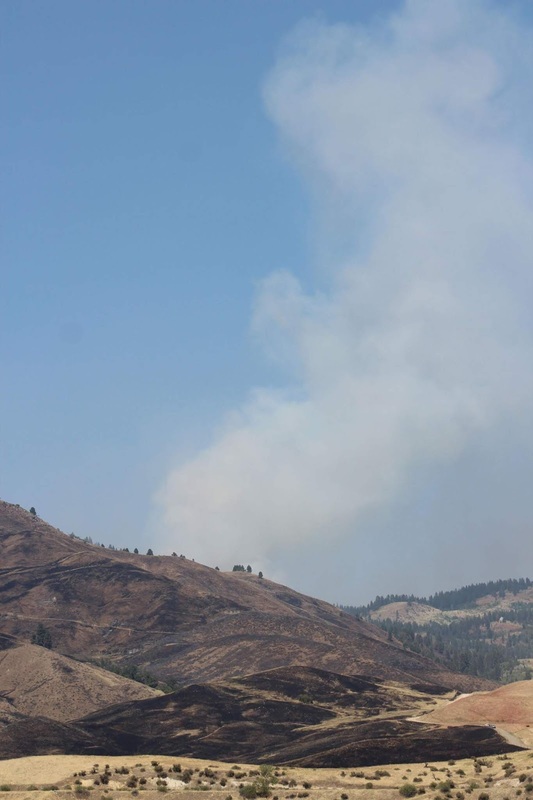 Public traveling along the Highway 55 corridor can expect to see an increase in fire personnel and vehicles as crews monitor and patrol the fireline near mile marker 73 on Highway 55. The public is also reminded that numerous hazards exist along Highway 55 including falling rock and debris loosened by the fire. Drivers need to be aware of the possible hazards and drive with caution. The fire weather forecast tomorrow calls for temperatures in the upper 90s coupled with single digit humidity and light winds along the Payette River corridor. This will increase the potential for fire starts so travelers are cautioned to be extra vigilant.